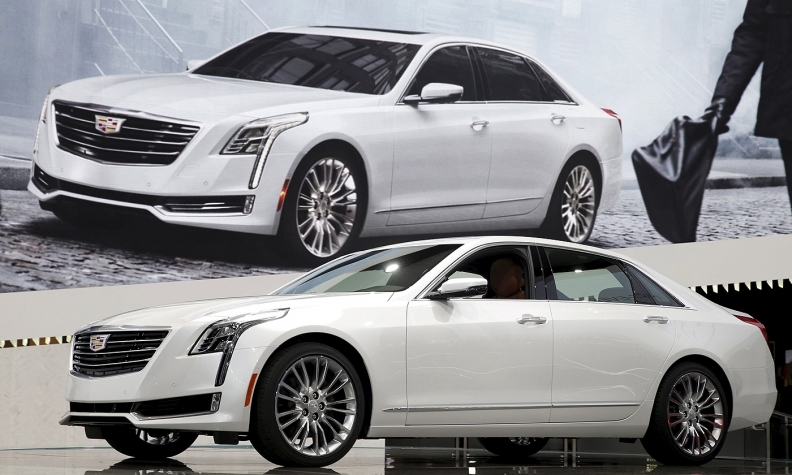 The Cadillac CT6 luxury sedan uses “a mixed-material architecture and is very flexible,” says Mark Reuss, GM's product-development chief. NEW YORK -- Now that General Motors has christened its large, rear-wheel-drive platform (code-named Omega) with the debut of the Cadillac CT6 sedan, what other cars might go onto that same foundation? A flagship Buick is one, says GM product chief Mark Reuss. But not right now. Since it was confirmed a few years ago that GM was developing a large, rwd Cadillac after years of mulling it, there has been speculation over whether Buick would get its own version. That chatter heated up in January when GM showed the svelte Avenir concept sedan at the Detroit auto show. The conventional thinking is that Buick could use such a rwd car in China, where there’s a big market for roomy sedans and Buick outsells Cadillac nearly 13-to-1.